Also known as Bosch 800 Series SHXM98W75N, the SHXM98W75N claims that its MyWay rack gives the "industry's largest" loading capacity for a third rack, as well as a slightly-more-than-usual 16 place settings, while it has an Eco US cycle option and boasts a relatively-low water consumption per wash of 2.9 gallons. 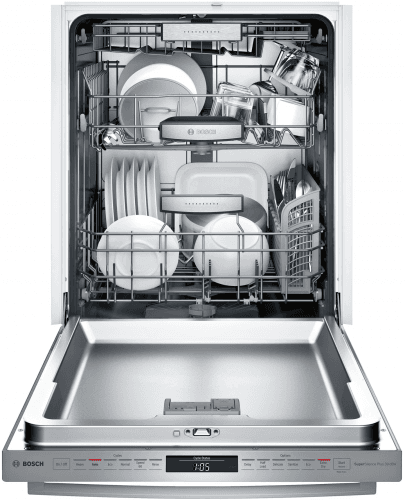 Also, it qualifies to be called as one of the most quiet dishwasher models in our books (as of early 2018), with its 39dBA maximum noise level. Also known as Bosch 800 Series SHXM98W75N. Compare Side-by-SideCompare it with equivalent dishwashers. 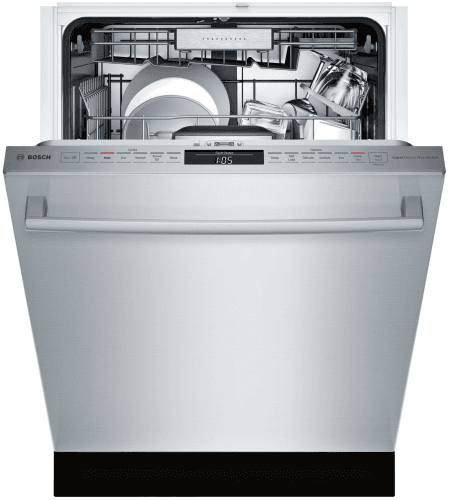 Latest Bosch dishwashers See all the new Bosch dishwashers.